At its foundation, dynamic pricing is simply flexible pricing based on current market demands for a particular product or service. It is second nature to the hospitality and travel industries, even the retail goods market, where algorithms account for competitive pricing, supply and demand, time of day, and on-demand service spikes to affect an ever-changing real time price and profit margin. But in banking, dynamic pricing is a different story: more of a Utopic dream than a reality, with some nuances unique to the industry. In financial services, dynamic pricing is predicated on the individual customer relationship with the bank, as an expression of the client relationship. It is comprised of two parts: relationship pricing and pricing execution. Because this type of pricing strategy is customer oriented, not product oriented, true dynamic pricing requires a fundamental shift in how banks have looked at overall customer profitability. 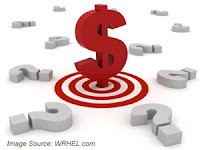 A shift to a dynamic pricing strategy means no longer looking at individual products as revenue drivers, but at the individual customer’s portfolio of products and services as the revenue driver, in both retail and corporate banking. It requires the industry shift from product-centric banking to customer-centric banking. It also heralds the return of rebundling banking services. Good pricing is a tool that encourages customer stickiness – it’s about customer acquisition, retention and satisfaction – while balancing profitability by finding the price that reflects the customer’s perception of value for the service, their price sensitivity and elasticity. This is pricing optimization, which takes into account holistic data analytics, both external market and competitive data, and customer behavior data, to get at the optimal price point for that individual customer. Think of the optimized relationship price as a sort of non-standard/exception price, a permanent discount on the list price of a service based on the customer’s wallet share, not necessarily the typical customer market segment. Sometimes this comes in the form of a temporary promotional price where the promotion price is valid longer for those customers with a bigger wallet share (or bundle) than those who have a smaller wallet share (or fewer products/services). With optimisation, product bundling becomes advantageous and encourages additional wallet share. It also mitigates some of the pricing sensitivity associated with individual products that can minimize profitability margins, by matching high-take rate products with low take-rate services. A mixed bundle means margins on low elasticity products can be increased, while highly elastic products can remain closer to the price point customers are happy to pay, and deeper discounts on those highly elastic products can be used as incentive pricing to attract and retain customers, all the while still maintaining a favorable profit margin on the entire bundle. This also encourages customers to aggregate their services into a bundle, where they would be unwilling to pay for a more costly stand alone service, but are willing to pay for the bundle when the combined value of the bundle matches the value perception, hence an increased wallet share for the banking provider. Pricing execution is the other half of the equation, and whereas most banks already have adopted pricing optimization strategies – albeit at the product level – how they can execute those strategies in their current systems is a bigger challenge, and dynamic doesn’t describe most current systems. Dynamic means that the price of the product or bundle can be changed in real time in the internal IT systems, from the CRM all the way through to the billing system, and requires only a single data entry point for that change to occur in all systems. That means any changes to a customer bundle, or a price change due to market forces (a competitor’s promotional offering, for example), can be made and updated in all the systems in real-time. As the industry begins to debate the merits of rebundling financial services, a moral imperative underscores the reasons why customers deserve to have better experiences and service, and rebundling is a credible solution. The pricing that underpins the bundles is part and parcel of the movement towards rebundling, and there are ample economic reasons to make that shift. The clincher here is that there is a moral reason to rebundle and price right, moreover there is ample economic rationale to justify rebundling: it’s a case of profits and data proving what is good for the customer is equally good for the bank. Let’s start with the ethical drivers, the primary being curating customer lifetime value, where FIs acknowledge that they exist to actually serve the customer by facilitating access to and use of their assets. This enhancement of the customer experience extends to actually providing customers the services they want and need, and those that will best serve long-term financial health and wealth creation. The more services an institution can provide, at a relationship price, the more perceived value the institution has in its customer’s eyes. The more value provided, the more loyal the customer becomes, and the more incentive the customer has to stay and aggregate all their financial services needs into one portfolio. Loyalty programmes consist of more than products and pricing, but they are the foundation of any meaningful bank/customer relationship. Loyalty also drives increased customer wallet share, and bundling facilitates this. Instead of a fractured array of services from multiple providers, customers lean towards the simplicity of getting the right bundle of all their service needs. Framing that bundle with a relationship price that relates the perceived value of the customer relationship staves off the draw of a competitive offering from a different provider. The customer gets the right set of services at the right price, the bank gets a loyal lifetime customer. The economic drivers to rebundling are just as compelling – even more so once a bank has un-siloed their operations and can see a full 360° view of the customer relationship. Pricing optimisation in this context means profit margins are insulated, a loss leading product bundled with a profit leading product allows margins to be amply covered, even improved. Curating bundles also creates opportunity for additional cross-sell and up-sell to existing customers, and can attract new ones – again, it’s about getting the right products to the right customers and not high-pressure sales tactics, as the aim is to grow customer lifetime value that supports long term profits; the right bundle, however, can impact short-term revenue positively, too. How? By encouraging a customer to aggregate all of their transactions through one single financial service provider. For any fee based services, this means volume, and volume means revenue. Instead of only getting a fraction of a customer’s transactions, a bank that bundles those services captures more, if not all, of that potential traffic – and revenue. This is especially important in light of fee transparency, and helps ease the challenge of conveying the value of those fee-based services. Dynamic pricing matters in banking, especially in light of increasing competition from alternative providers, and banks’ flailing reputations. In the marketplace, price conveys value – not only of the services offered, but of the customer relationship – and it’s the first and most obvious signal of that value. It is also the key to attracting and retaining customers, and winning additional wallet share. Customised, individualised pricing becomes increasingly important to savvy consumers when all banks seem equal, all offerings seem identical, and new challengers and alternative providers trumpet their offerings as the panacea of financial services (with better pricing, too). Throw in customer price sensitivity and backlash against fee changes, and bespoke pricing becomes critical to attract and keep market and wallet share. The industry has recognised rebundling as a need, and is embracing the idea. To make that strategy work, though, dynamic pricing has to play a role in creating that banking Utopia. In the next segment, we’ll look at the primary challenge banks face in executing dynamic pricing: the ever-omnipresent legacy system. It will be published on Wednesday, 10th February 2016.